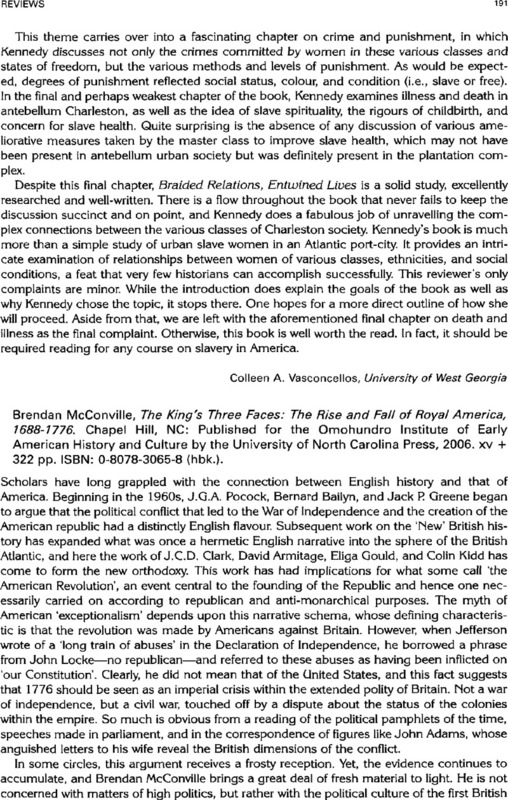 Brendan McConville, The King's Three Faces: The Rise and Fall of Royal America, 1688–1776. Chapel Hill, NC: Published for the Omohundro Institute of Early American History and Culture by the University of North Carolina Press, 2006. xv + 322 pp. ISBN: 0-8078-3065-8 (hbk. ).